Do you find yourself pushing through the day without making time to take a break? How often do you skip meals? Work late? Study all through the night with no sleep? It’s surprising how many Australians push themselves to the limit, without realising the harm it has on their mental health and wellbeing. This week is Mental Health Week – and it’s a kind reminder to us all that our mental health is just important as our physical health. How big is the issue of mental illness in Australia? These five facts help show that it can affect anyone. Australians are seeing their doctor to discuss mental health problems more than any other issue, according to a new 2018 report from the Royal Australian College of General Practitioners. 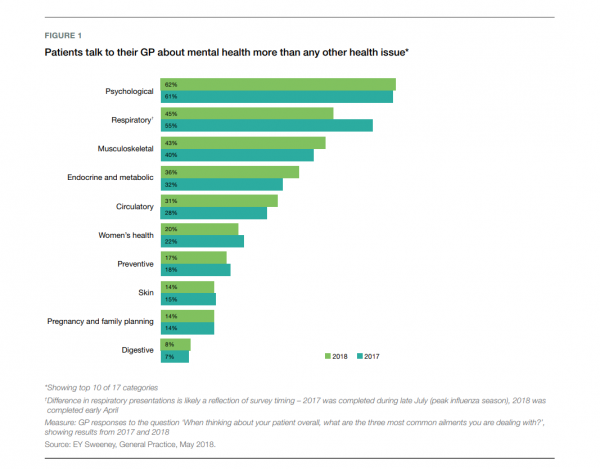 The survey of more than 1,500 doctors ranked mental disorders as the most common reason for a patient visit (62 per cent). In 2015-16, there were just under 18 million mental health-related doctor visits – this is over 12 per cent of all GP encounters. 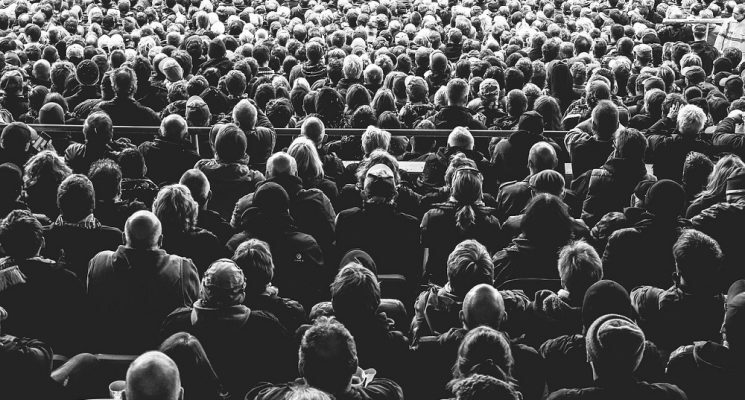 Most recent updates from the Australian Institute of Health and Welfare estimate four million Australians experienced a common mental disorder in 2015. The most common mental illnesses are depression, anxiety and substance use disorder. According to the World Health Organisation (WHO), mental and substance use disorders cause 23 per cent of all years lost due to disability. 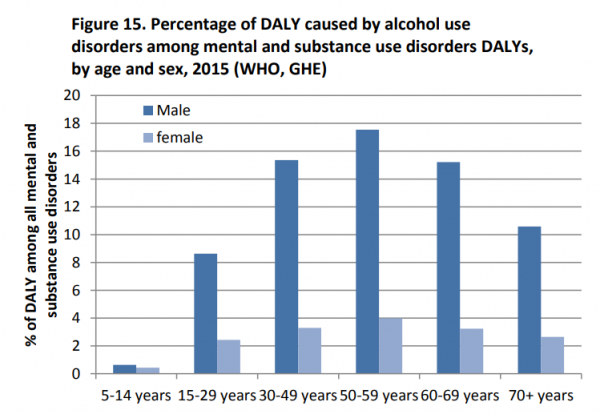 As you can see from the below graph men between the ages of 30-69 are particularity likely to have their life expectancy lowered by substance abuse. The acronym DALY stands for: disability-adjusted life years. In 2013, world-renowned medical journal, The Lancet reported that mental health problems and substance abuse cause the most disability and poor health worldwide. Depression accounted for more than 40 per cent of disability. 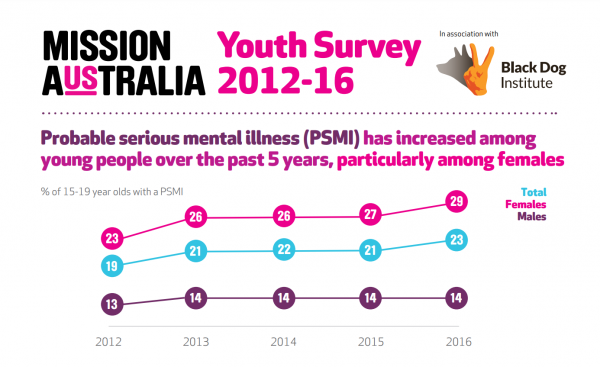 The latest Mission Australia and Black Dog Institute report on youth mental health shows the figure has increased from close to 19 per cent in 2012, to almost 23 per cent in 2016. An even higher number (31 per cent) of Aboriginal and Torres Strait Islander respondents met the criteria for having a PSMI. It’s important that we engage in culturally and gender sensitive responses to support mental health of young people. Our responses should consider structural issues that contribute to higher levels of distress for girls and for Aboriginal and Torres Strait Islander youth. As these five facts highlight, mental illness is one of the most pressing issues in our communities –it must be tackled together as a society to reduce discrimination, stigma and encourage people to seek support. Mental health is commonly misunderstood as mental ill-health. But rather than illness it’s about wellness – feeling resilient, enjoying life and being able to connect with others. 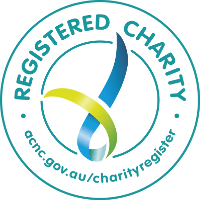 At AnglicareSA, we’re passionate about mental health and wellbeing as a positive concept and increasing people’s ability to realise goals and potential, cope with the normal stresses of everyday life, work productively and contribute to society. This week marks Mental Health Week with awareness activities being held throughout the week (October 7 to 14). To find events happening near you during Mental Health Week, visit World Mental Health Day. If you’re in South Australia you can also visit Mental Health Coalition of South Australia for more information on the week. While we highlight our mental health this week, it’s important to remember to look after ourselves and those around us throughout the entire year. For our latest updates on mental health and our other focus areas, follow us on the AnglicareSA Facebook page.